As per the Indian Govt. 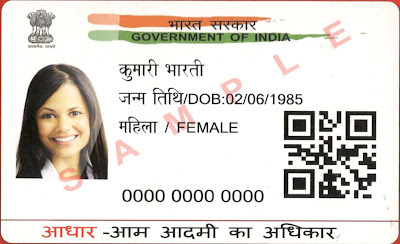 Policies it is now must to have a Aadhar Card (UID Number). Govt. provides the contract to the authorized agencies to issue the Aadar Card Numbers in every state and divide them by locations. 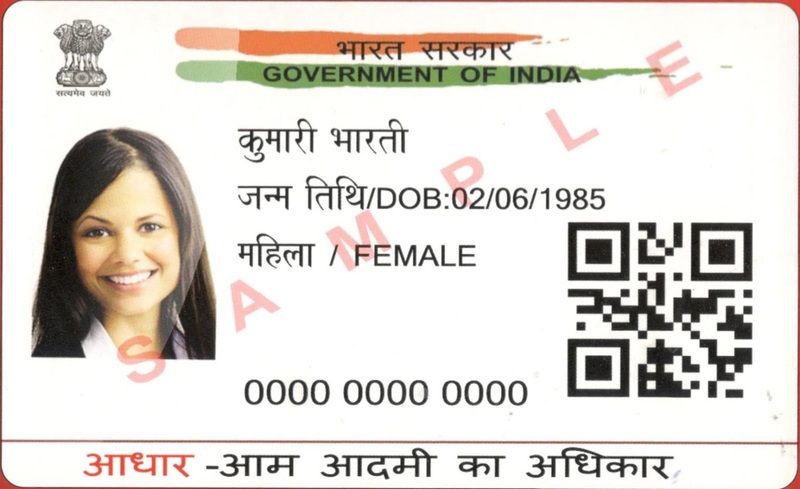 Now people are least bother in carrying a page size cards so there is very lucrative alternate is available for the same, now you can have an Aadhar Card in the PVC Card and the size of the same is just like a debit cards which you can easily keep in your purse. Barcode Bazar is a trusted and renowned name in the field of Thermal ID Card printing solution in India. Barcode Bazar provides the all variants of Thermal ID Cards Printer its consumables – Thermal YMCKO Ribbons and Blank PVC Cards. Barcode Bazar are the authorized Distribution Partner with many of the Reputed Brands such as HID Fargo, Evolis , Data card, Zebra & many more to distribute the PVC Card printers and other consumables across India. We Barcode Bazar focus on adding value to your business with the quality of the material and our service. We take vanity in the variety of our products and our ability to deliver with the speed, dependability, flexibility and responsibility so often demanded in today’s business environment. Our main focus is on the PVC Card Printers to satisfy the needs of the end users of the Schools, Colleges, Shopping malls, Industries, Aadhaar Cards and many more. Fargo DTC1250e Card Printer, Fargo C50 Card Printer, Fargo HDP5000 Card Printer, Zebra ZXP Series 3 Card Printer, Zebra ZXP Series 7 Card Printer, Zebra ZXP Series 8 Card Printer, DataCard SP30 plus Card Printer, Evolis Primacy Aadhar Card Printer, Evolis Badgy 100 Card Printer, Evolis Badgy 200 Card Printer & many more. Barcode Bazar a distributor, supplier, importer of the HID Fargo ID Card Printers and Aadhar cArd Printers does not need any introduction in ID Card Printing industry as it is famous and known worldwide. Fargo DTC1250 is the printer that suits each and every needs of the ID Card Printing whether it is on a small scale or industrial scale. Fargo 1250e is the best known printer in the range and it is used everywhere in the schools, colleges and universities for id card printing of the students, hospital for ID Card printing of the patients and the staff. Fargo DTC1250e is used in every vertical weather it would be access card, Proximity card, Magnetic card, ID Card, PAN Card, Driving licenses, voter id card, epic card, loyalty Cards and many more. For DTC1250 you can print any type of the cards with the help of the different ribbons such as Half panel YMCKO Ribbon , Full Color Full panel YMCKO Ribbon, Part number 45515, 45500, 1250e EZ and YMCKO cartridge with the cleaning roller. All the accessories, spare parts, consumables such as printhead, roller are available in the stock with the technical support and the replacement services. Barcode Bazar is also the authorized service center for the Fargo ID Card Printer service and repair in Delhi, Jaipur, Chandigarh, Noida, Gurgaon India. If you have any other inquiries regarding prices or anything else you may directly contact Barcode Bazar and you may also feel free to ask for the Fargo ID Card Printer demo from Barcode Bazar executive.